Striker claims he turned down LFC, as he wouldn't have got in the team..
Striker claims he turned down LFC, as he wouldn’t have got in the team.. The 22-year-old is claiming that while he was aware of Liverpool’s January interest, he decided he wanted to stay at FC Rostov so he could continue playing first-team football. We were linked with the striker, dubbed with much hyperbole, ‘The Iranian Messi’, this winter – but no bid was launched and Jurgen Klopp decided to continue with his current hand until the end of the campaign. Azmoun claims he would have only been a rotation option for us, and wanted to wait until he could walk into someone’s XI as a starter. 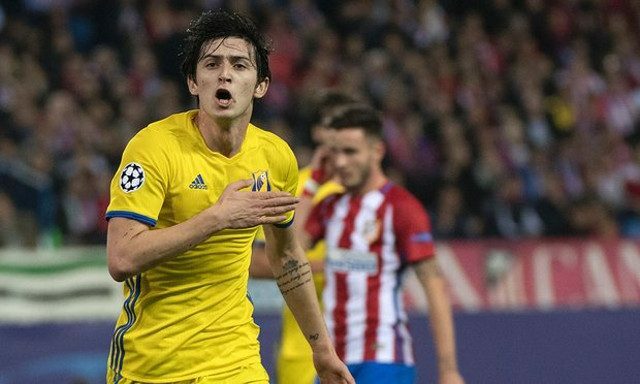 “There was talk of Liverpool having expressed an interest in me during the winter transfer window,” Azmoun told the Qatar Supreme Committee for Delivery and Legacy website. “However, I did not feel the time to move was right. “I would have ended up playing a few games and then spent a great deal of time on the bench as Liverpool were only looking to fill a void for a particular part of their season. “I am sure I will be playing for a top European club in the near future,” he added. Azmoun’s probably right. Daniel Sturridge and Divock Origi have struggled for game-time this season, not to mention Danny Ings – the Injured Englishman – and he would have been right at the bottom of our prospective pecking order. At his age, he needs to be playing and we’re glad he’s still in Russia where he has a chance to prove himself. Liverpool need to be setting our sights a little higher, too. Azmoun has seven goals this term, and that’s in a poor league. How would that immediately translate into Premier League success?